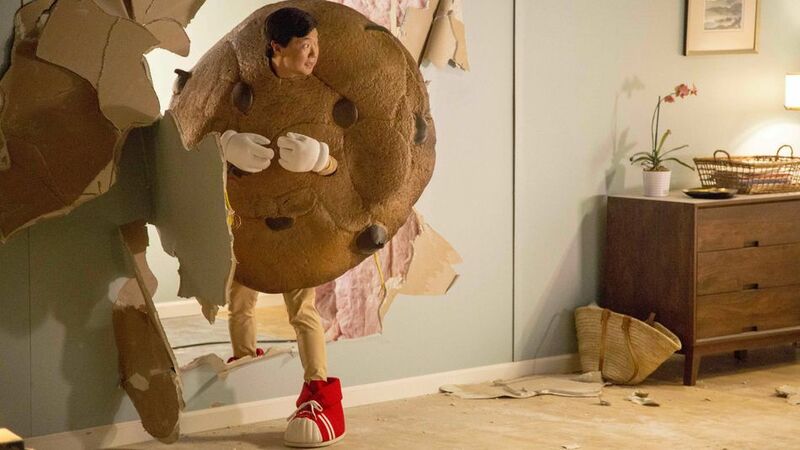 Ken Jeong definitely knows how to make an entrance. In a breakout role in The Hangover, Jeong memorably leaps from a car trunk stark naked, madly flailing a crowbar. After that part, Jeong burst onto the comedy scene with a cast-member spot on NBC‘s Community and turns in several blockbuster movies. 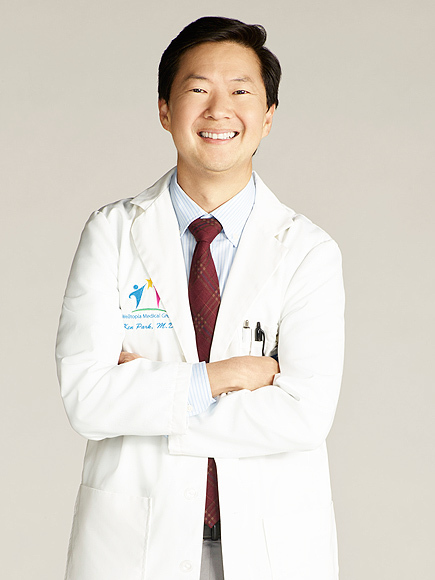 The 30-second spot was good practice for Jeong’s current day-job, he says, where he is in the middle of shooting his first sitcom in a starring role, ABC’s Dr. Ken, and he has found himself with more creative control than ever before. So it’s only fitting that the doctor-turned-actor makes his appearance in a new commercial for smartphone game Cookie Jam by barging Kool-Aid man-style through a wall into a hair salon clad in a cookie costume. 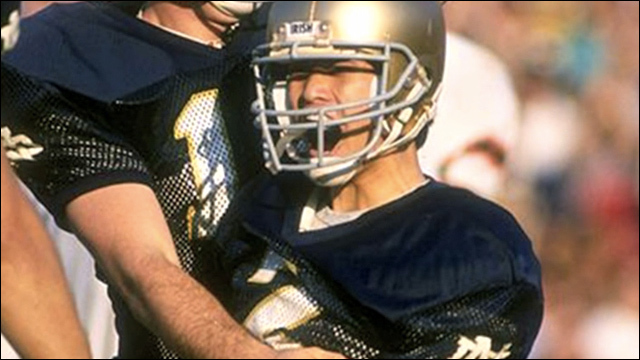 At 5-foot-5 and 135 pounds, he was one of the smallest players in college football, but ended up playing a crucial role in the Fighting Irish‘s undefeated 1988 season. I love it. Reggie kicks four field goals to singlefootedly defeat the University of Michigan. What does he do celebrate after the game? He heads to the library to hit the books. Reggie’s gotta study. True student athlete.